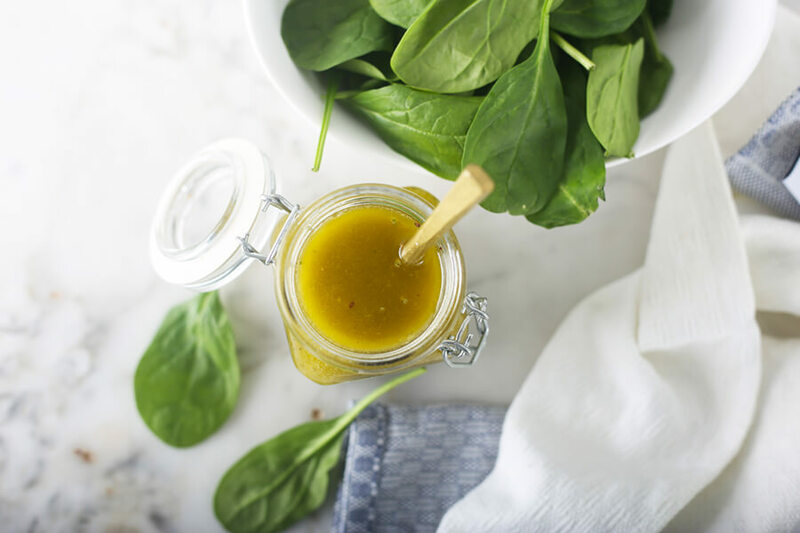 This recipe is very similar to my honey vinaigrette recipe. In fact, I just add the herb mix that I keep on hand to the honey vinaigrette if I already have that dressing made. Also, like the honey vinaigrette, this recipe develops its flavor over time. For this reason, I recommend you make it a day or two in advance. But like all of the recipes in our condiment section, it’s still delicious even without waiting! I figure if I’m going to get all of those herbs out, I might as well make up a bunch to have on hand. I hope you feel the same, because I’m not sure how to parcel out all of the ingredients into a small portion. 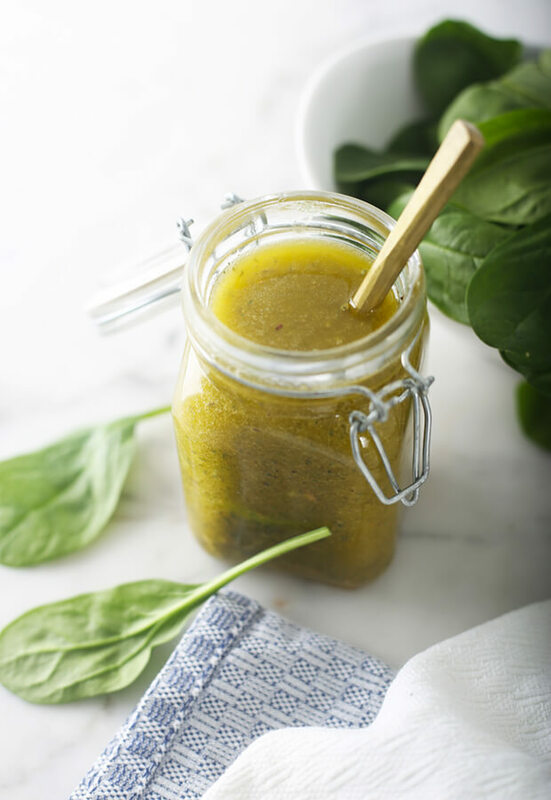 Do keep in mind, this dressing also makes a terrific marinade for meat! 1. Measure out all of the herb ingredients into a bowl (or jar). As you can see, I like Mountain Rose Herbs. Very good quality. Stir herbs altogether. Store in an airtight jar. Shake to mix before using. Set aside for later use in the dressing. 2. Pour all dressing ingredients into emulsion beaker. With emulsion blender, blend for just a few seconds until well mixed. Pour mixture into jar and let flavors meld. The longer they meld, the better it will taste. This is shelf stable for 2 weeks. If you put it in the refrigerator, be sure to take it out ahead of time as it will solidify in the refrigerator. Per 1 Tbsp. this breaks down to: 83.67 Calories, 13.5g Fats, 1.25g Net Carbs, and 0.03g Protein. 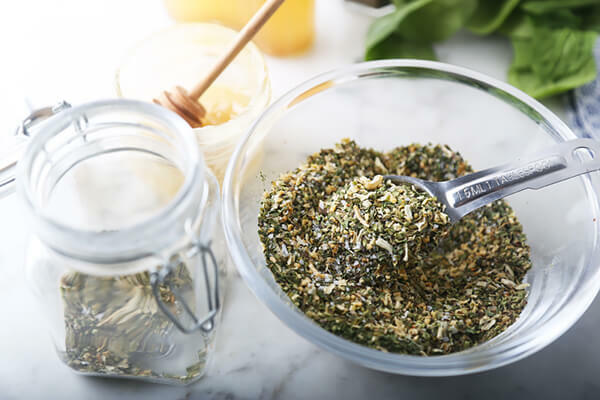 Measure out all of the dry herb ingredients into a bowl (or jar). Stir herbs all together. Store in an airtight jar. Shake to mix before using. Pour all ingredients into emulsion beaker. With emulsion blender, blend for just a few seconds until well mixed. Pour mixture into jar and let flavors meld. The longer they meld, the better it will taste. This is shelf stable for 2 weeks. If you put it in the refrigerator, be sure to take it out ahead of time as it will solidify in the refrigerator.